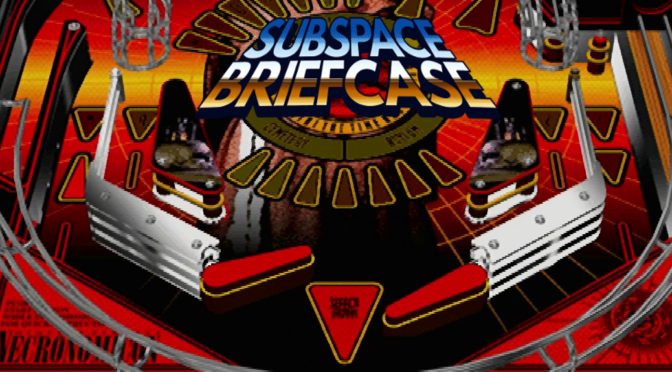 Here it is, what I anticipate will be the final Subspace Brief Facts! We’re going out with a bang – Psychic Killer Taromarou! 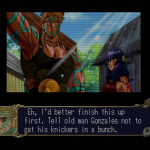 Psychic Killer Taromarou is one of the rarest and most expensive games out there. Nobody should pay for it – but if you can find a way to *cough* acquire it *cough* it’s worth a look. 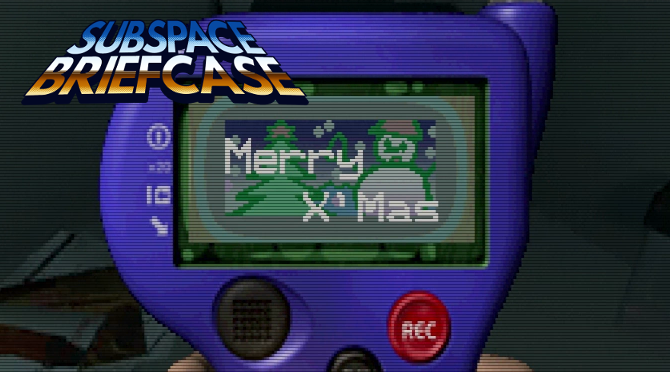 It has the kind of bizarre late ’90s charm that only the Saturn could bring. Watch the vid! And watch this page for my next foray into the the exciting world of VIDEO! 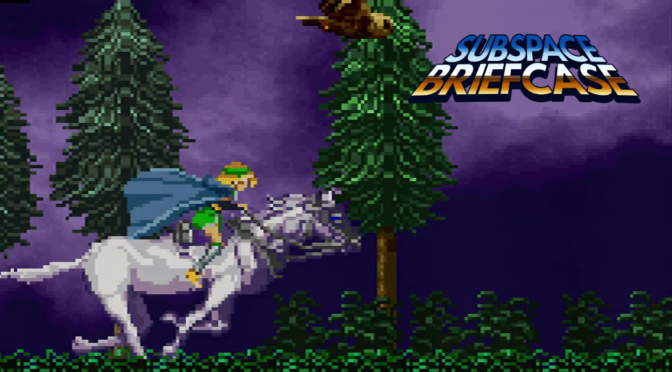 It’s difficult to cover something that’s been done to death, but I’ve always wanted to do something on Symphony of the Night. 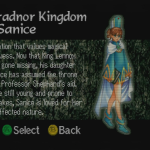 Hopefully I’ve provided something somewhat new and original by exploring a very specific aspect of the Saturn version of Dracula X: Nocturne in the Moonlight– the ability to play as Maria Renard. Enjoy! You might be a king or a little street sweeper, but sooner or later you dance with the reaper. I’m a big fan of Chris’ settings for 1080p output. Give them a shot! On a somewhat sad note, you will also see that this video is dedicated to the beloved memory of my recently departed corgi, Gizmo. 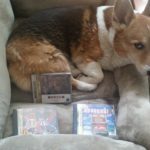 Among many other things, Gizmo was my “games dog” whenever I had to verify shipment of Saturn imports, I’d always try to make the photo more entertaining by throwing in Gizmo. He was one of my best pals. He’ll be missed. This one was a doozy! 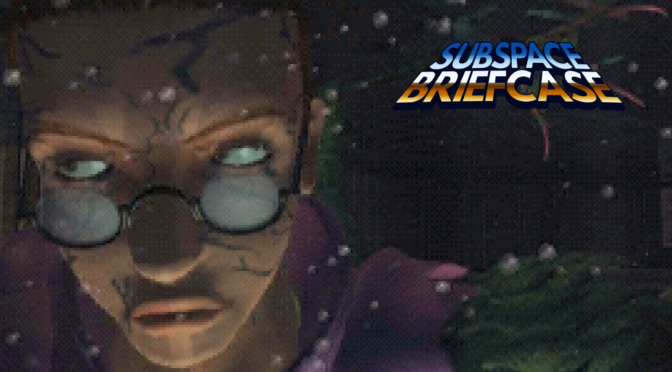 Deep Fear is one I’ve been meaning to play for a while, so I figured it would make a great installment for the 10th Brief Facts! 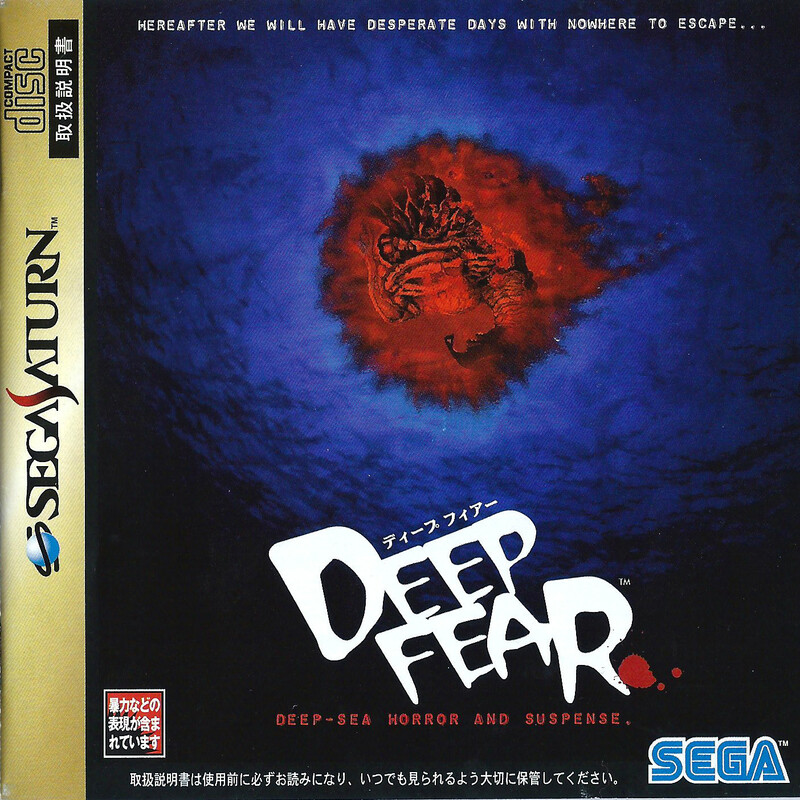 As you’ll be able to tell from the video, I played through the Japanese version of Deep Fear. 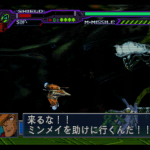 While all the text is in Japanese, it’s not too difficult to fumble your way through the game; your objectives are fairly straightforward. Notably, all the voice acting in English. Hilariously awful English. It’s like they got their American accounting interns to do all the VO in one take. “Hereafter we will have desperate days with nowhere to escape.” Why even bother trying, then, one wonders. It’s like storage, but more efficient. Thanks for watching – and to all you videophiles out there, sorry about the jailbars! 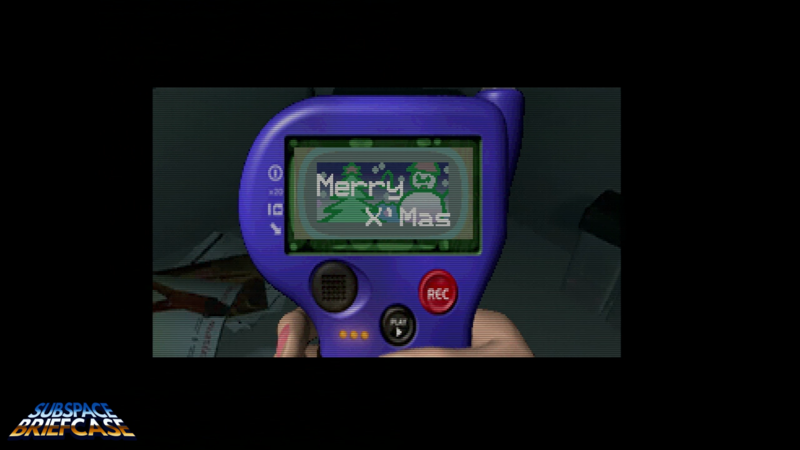 I first discovered this back in 1997, shortly after finding this cult classic-to-be under the Christmas tree. It was the last time I would smile while playing this game. It’s hard to smile after you’ve soiled yourself in fear. I’d like to extend my deepest gratitude to everybody who has read or watched anything I’ve put out over the last year. Happy Holidays to you and yours! 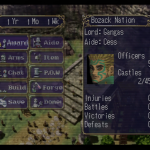 Dragon Force II – Translated and Running on a Console! 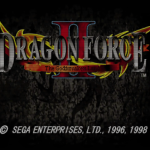 Nearly 18 years ago, I received Dragon Force as a birthday present. I finished it inside of a month, and it quickly became one of my favorite games of all time. 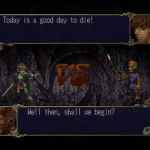 It was the first game I wrote about when I launched this site, and I’ve been dying to play its sequel since its initial release back in 1998. 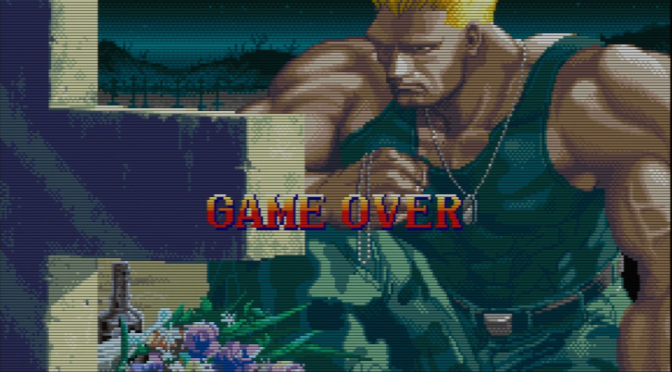 Unfortunately, Dragon Force II never made it out of Japan. 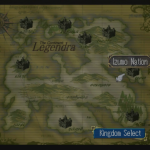 If you didn’t understand Japanese, your chances of booking another enjoyable vacation to Legendra were slim to none. But that was then. 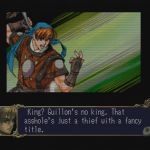 Now, thanks to some very talented folks who know FAR more about the Saturn than I, Dragon Force II is readily playable in English. 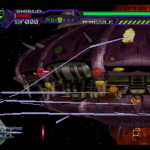 Saturn fans have been emulating the game since the full translation became available to the public this past April, but I have yet to see any accounts of anybody playing it on a console. 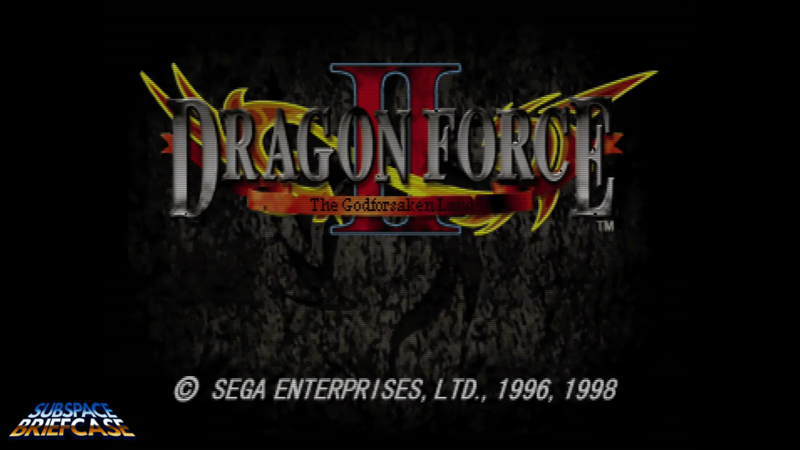 Yesterday, I sat down and did just that: I got Dragon Force II running on the Sega Saturn I’ve had since 1996. Miracles do happen folks. 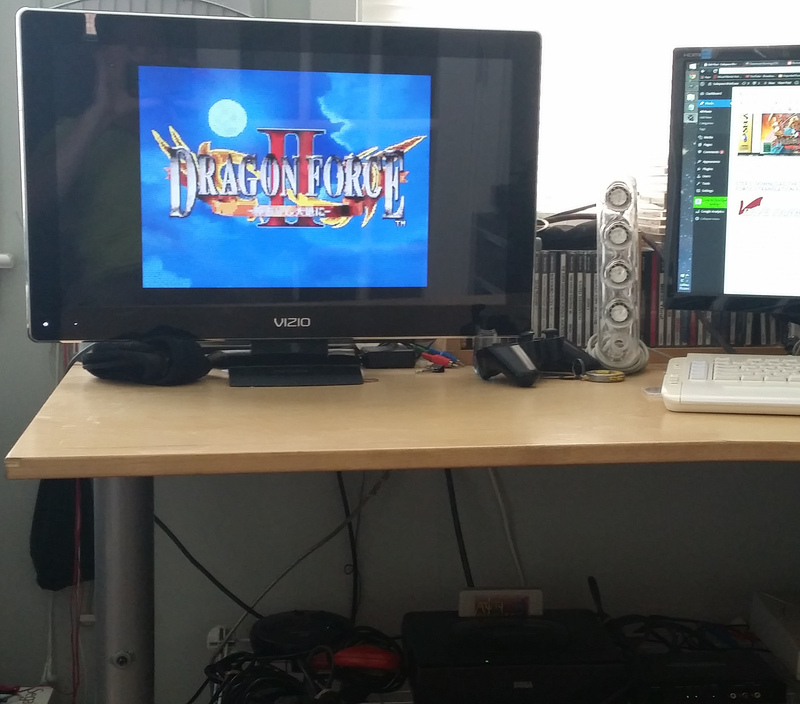 Look, I don’t have a CRT for a good “I’m not emulating this” photo, so just trust me when I say that the Saturn under the desk is actually hooked up to that extremely high end television. 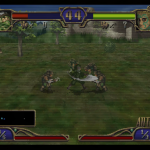 Below, you’ll find a step-by-step guide detailing exactly how I got Dragon Force II playing on real hardware. 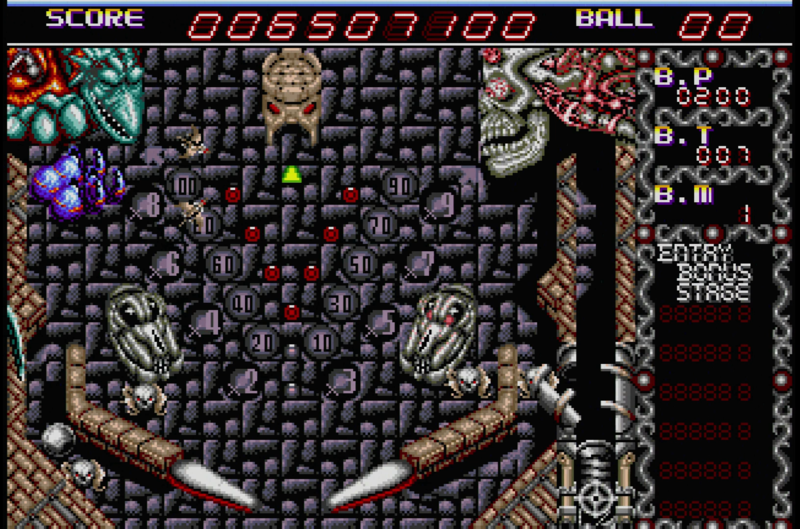 Gameplay video and screens follow at the end of the post. 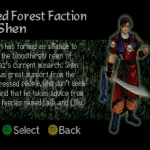 To avoid any confusion here, let me make it clear that I had no part in creating the Pseudo Saturn, nor did I have anything to do with the Dragon Force II translation project – I just connected a few dots and got the game running on my Saturn. I’ve done my best to attribute credit to all appropriate parties – if there’s anyone I’ve left out, please let me know, and I’ll update this site accordingly. 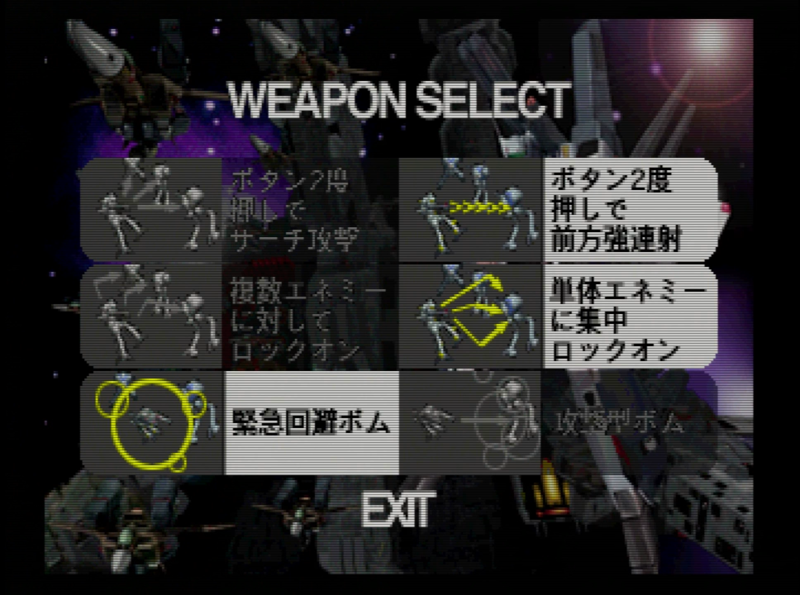 In short: if you like what you see here, don’t thank me, thank (1) the people who dedicated years of their lives to translating this Saturn classic, and (2) the people that continue to devise new ways for us to enjoy our favorite systems long after they’ve gone the way of the ghost. First things first: you’ll need a way to run burned discs on your Saturn . 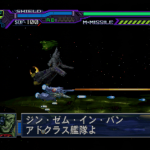 While there are a couple of ways to skin this cat, my weapon of choice was the Pseudo Saturn. 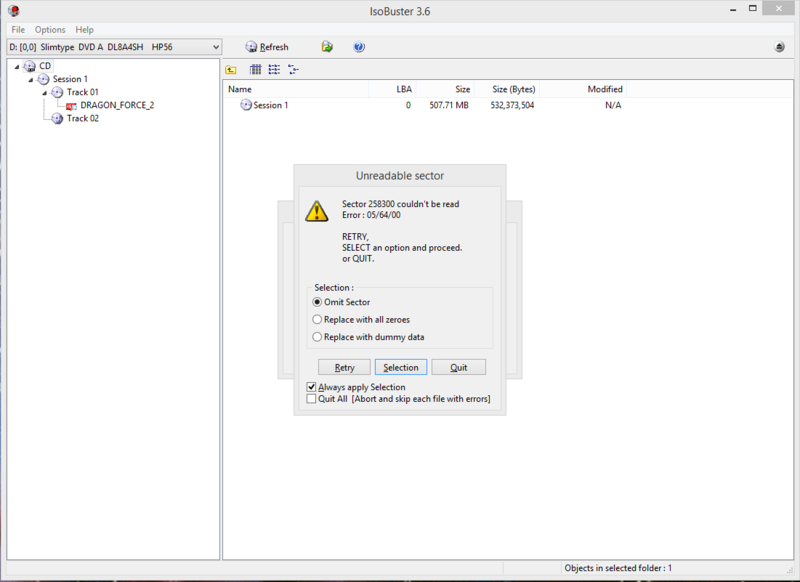 The Pseudo Saturn is a cartridge-based custom bootloader which bypasses the Saturn’s internal copy protection measures; essentially, it’s a soft-mod which makes the Saturn region-free and allows it to play burned games. If you’d like to learn more, I’d highly recommend exploring this thread over at AssemblerGames, started by Cyber Warrior X, the extremely bright mind that created the Pseudo Saturn. For the more technically inclined, he’s also been kind enough to post the source code on GitHub. “Where do I get one of these fantastic devices,” you ask? 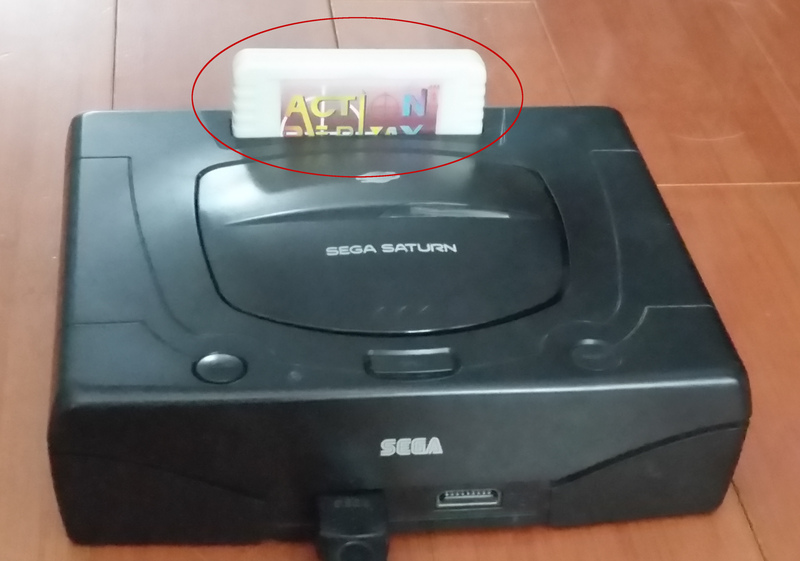 Well, you might note that the Pseudo Saturn looks remarkably similar to an Action Replay 4M Plus – that’s because it IS an Action Replay 4M Plus, albeit with custom firmware installed. 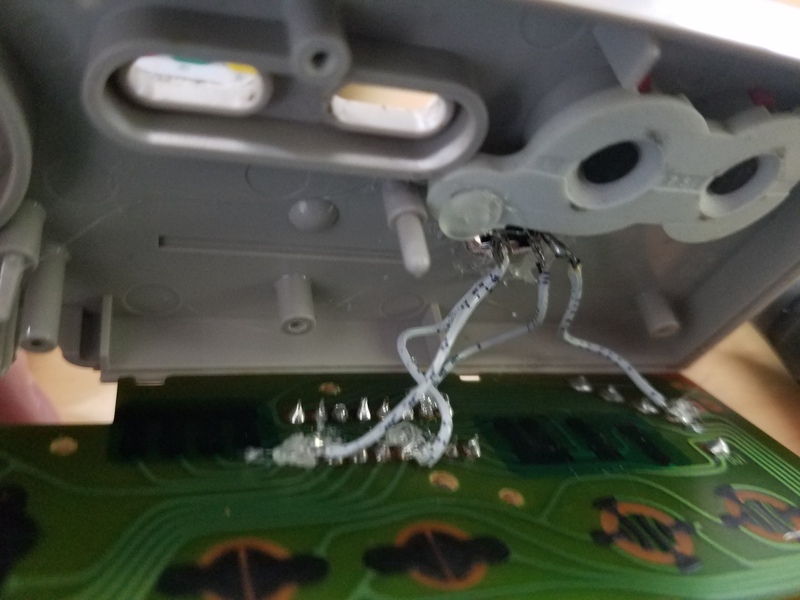 If you’ve got an AR to spare, you can try creating one yourself, by downloading the firmware and CD Installer and following the instructions included in Cyber Warrior X’s GitHub post. Please note that this also requires a hard-modded Saturn or some other less convenient method of playing burned discs. I didn’t have an AR to spare, so I just bought one with the firmware pre-installed from a friend I met on this wonderful Facebook group (thanks, Ke Kona!). If you keep your eyes open, I’m pretty sure you could find somewhere to purchase one as well. 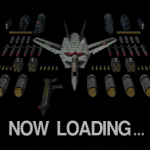 IMPORTANT NOTE 1: Installing the Pseudo Saturn firmware may just nuke your AR. If you’re going to try to make a Pseudo Saturn yourself, do your due diligence here: Take to google and make sure that your particular AR is Pseudo Saturn compliant. I wouldn’t recommend doing this yourself unless you’ve already embraced the risk of losing your AR. IMPORTANT NOTE 2: Once you’ve made an AR into a Pseudo Saturn, it will no longer function as an AR. No cheat codes, no save storage, nothing. Zip. Nada, Zilch. Got it? 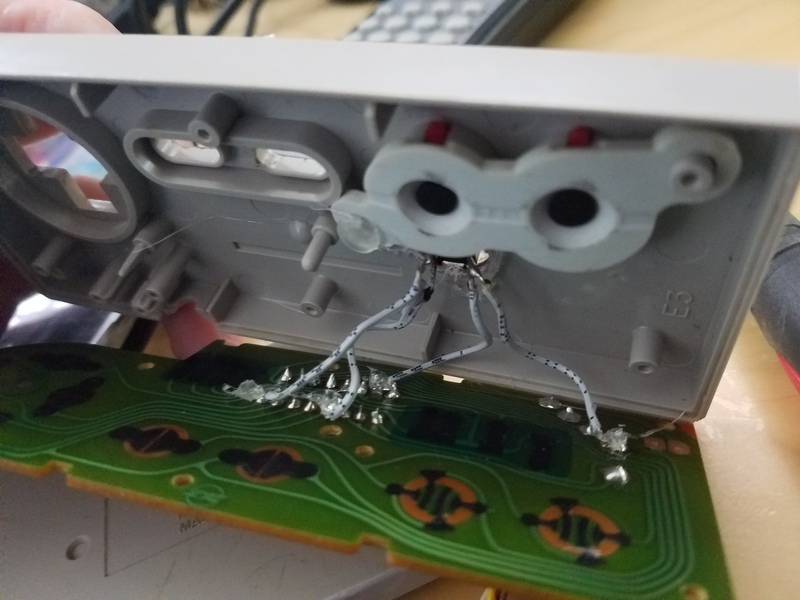 It will, however, still work as a RAM cart. Folks are said to be working on a version of the Pseudo Saturn which will re-implement these features, but as of right now, this is as good as it gets. 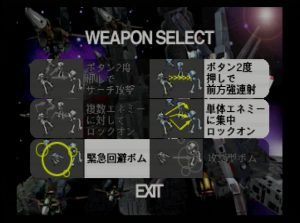 This means you will be using your Saturn’s internal memory to save games. Stock up on batteries. Listen, how you do this is up to you. You can buy it yourself or grab it some other way. I’m not here to tell you how to live your life, you filthy pirate. 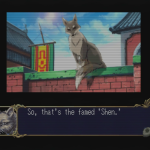 The talented folks over at Verve Fanworks have been working on this project for years now, and it recently saw its first full release back in April. They deserve all the credit in the world for fulfilling our dreams and making Dragon Force II playable in English. If you use their patch, be sure to send them some love. 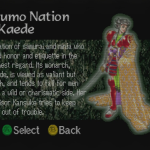 While I have yet to play the game to completion, it’s already clear that this is light-years beyond your typical fan translation – right up there with any professional localization. You can download the files you need right here. You might note that there are two patches available; just grab both of them for now. 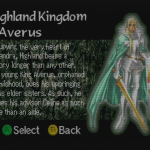 The rest of the instructions contained in this post are adapted from the readme file posted on Verve’s download page. Please feel free to follow that document from this point onward (ignoring any emulator specific instructions) if you’d like. 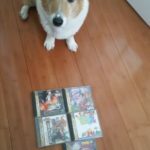 IsoBuster – This will be used to rip a disc image from your Dragon Force II CD. 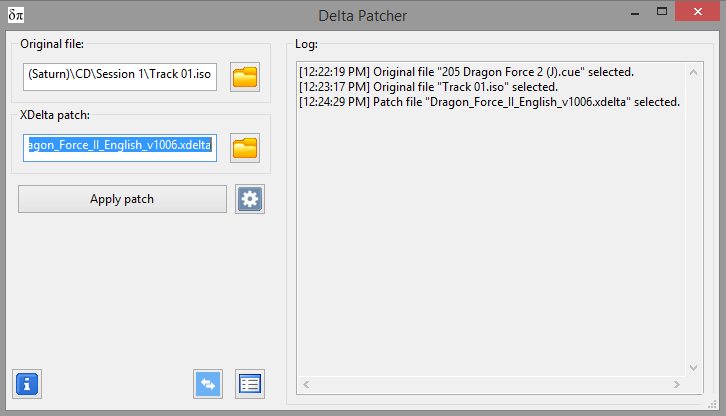 SadNESCity’s Delta Patcher – This will be used to apply the translation patch to your disc image. 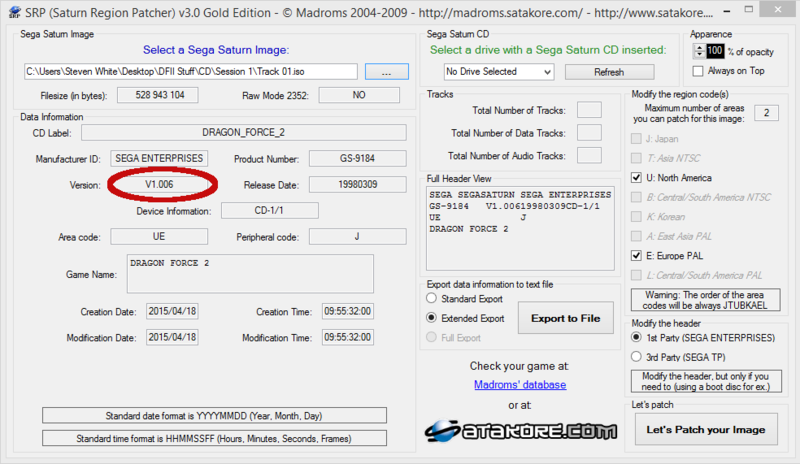 Saturn Region Patcher – This will be used to determine which variant of Dragon Force II you own. 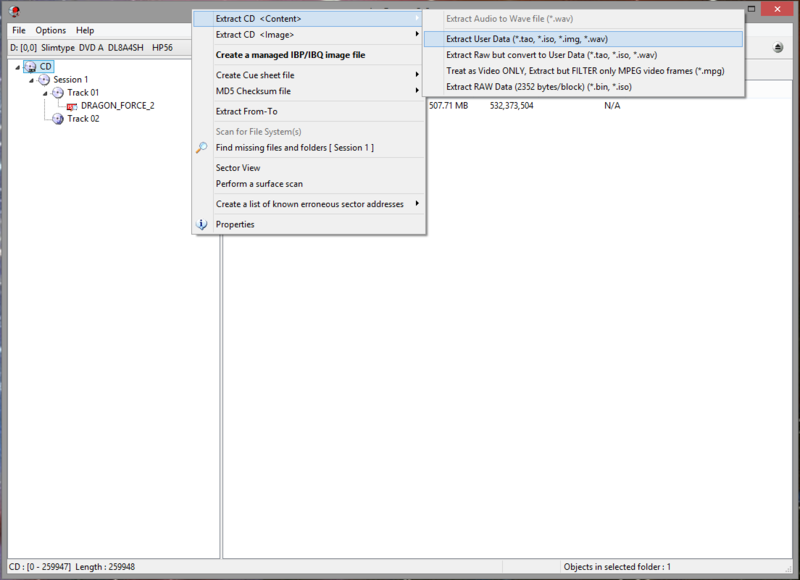 After you select a directory to which to save the disc’s contents, the extraction process should commence. When the process is 99% complete, you’ll receive an “unreadable sector” notification; don’t worry though, it’s not going to be an issue. Just check “Omit Sector” and “Always apply Selection,” as indicated in the image below. Click the “Selection” button and you’ll be good to go. 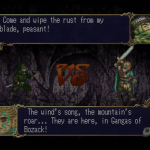 There were two versions of Dragon Force II released to the public; V1.006, and a revision, V1.007. As you can tell from the image above, I have V1.006. You’ll be fine to proceed with either one, just be sure that you’ve downloaded the version of the translation patch that corresponds to your version. Click “Apply Patch.” Congratulations, you’ve now got a translated disc image! Now, all that’s left to do is burn your disc! 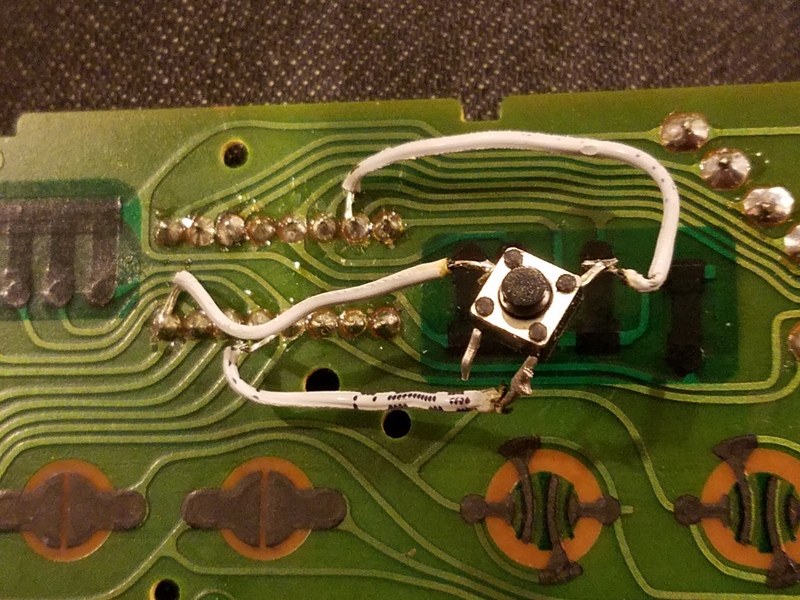 I used the method for burning Dreamcast games set forth here. 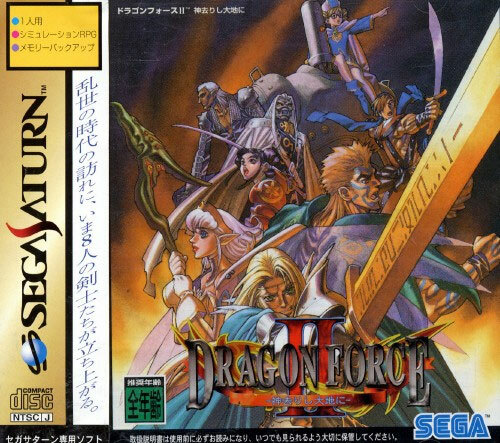 Though we’re dealing with a Saturn game here, that shouldn’t cause any trouble – my copy of Dragon Force II has worked flawlessly thus far, as has every other Saturn game I’ve ever burned. There you have it. 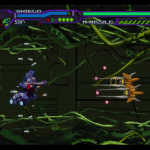 If everything went right, you should be able to just pop the disc in your Saturn and enjoy! As promised, here are the screens and video. There will be more to come in the future! I hope you’ve found this exercise entertaining and informative – shoot me a line on Twitter or Facebook with any feedback or comments! 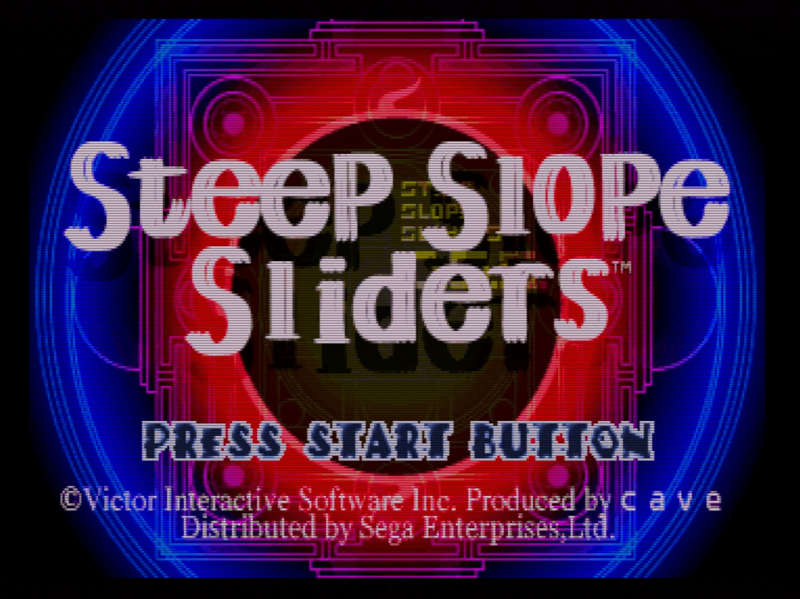 Note: This article in no way relates to the arcade version of Steep Slope Sliders for the Sega ST-V arcade system. If this in any way concerns you, consider yourself warned. 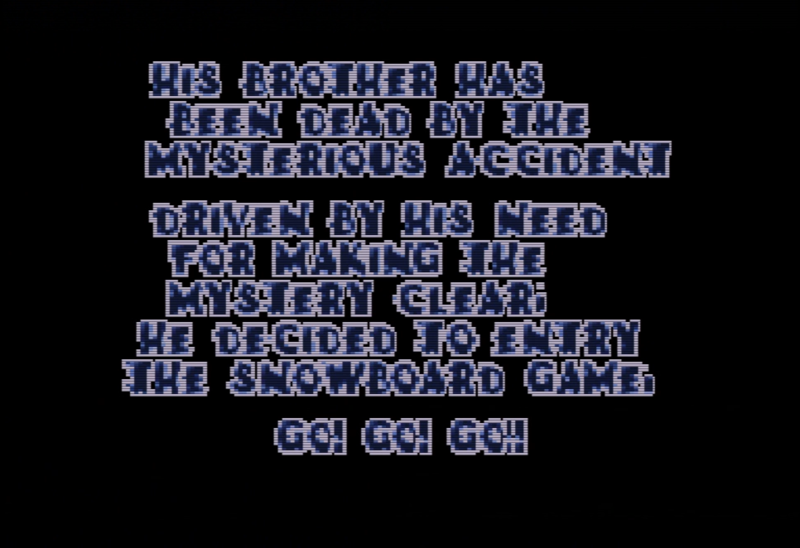 Commensurate with the mainstream acceptance of snowboarding as a legitimate sport, the “snowboarding game” really came into its own as a genre during the late ’90s. 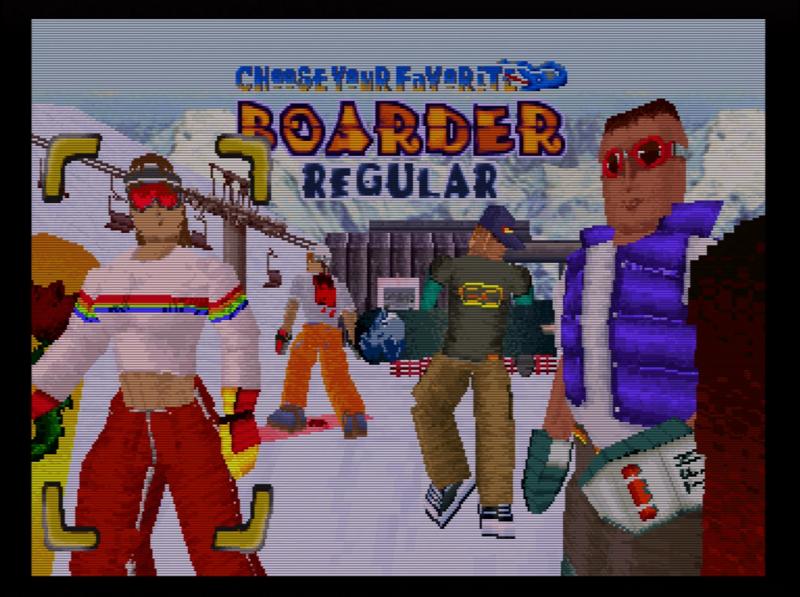 Sony’s Cool Boarders franchise saw the first of four annualized releases in the summer of 1996, and Nintendo released 1080° Snowboarding in early 1998. Numerous – other – publishers threw their hats down the slopes as well. 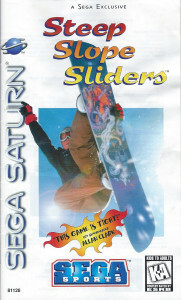 For my money, though, the best of the bunch was the Sega-published Steep Slope Sliders. 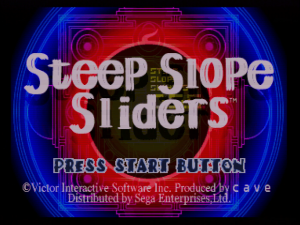 As the Saturn was well-into its protracted death throes in the Western market when SSS was released in late 1997, unless you’re a long-time Sega devotee, you’ve probably never heard of – let alone played – Steep Slope Sliders (which we will hereinafter refer to as “SSS“). 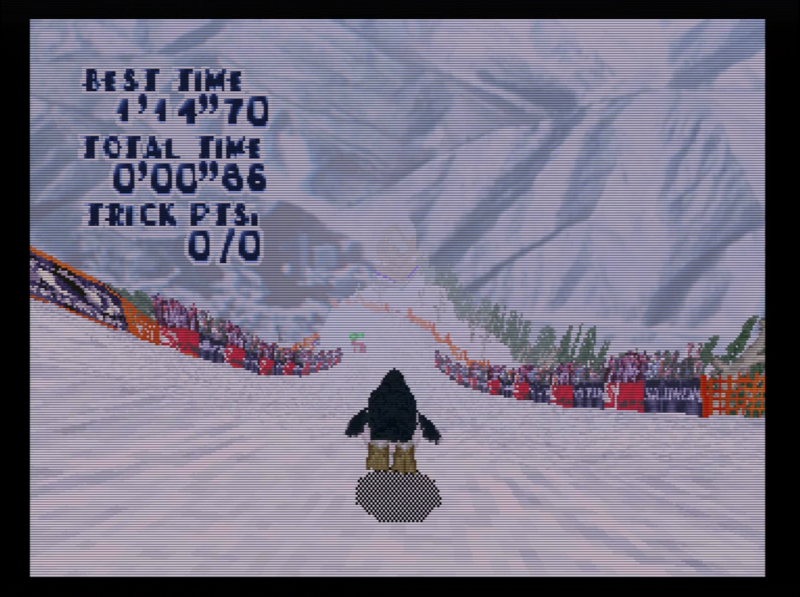 But PLEASE trust me when I say that it is the best playing snowboarding game of its vintage. What SSS lacks in visual panache, it more than makes up for in pure playability. 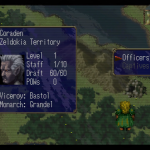 Offering fantastic controls and supreme replay value in place of graphical splendor, SSS remains a joy to play to this day. At the heart of SSS‘ charm is its ease of access; the slopes may be steep, but the learning curve isn’t. 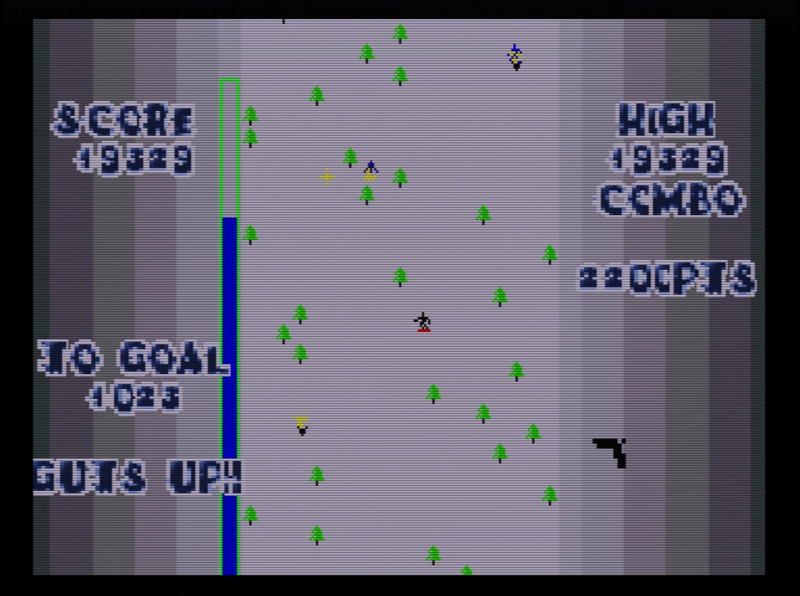 Your boarder can perform three basic actions in SSS: jumping, flipping, and grabbing. 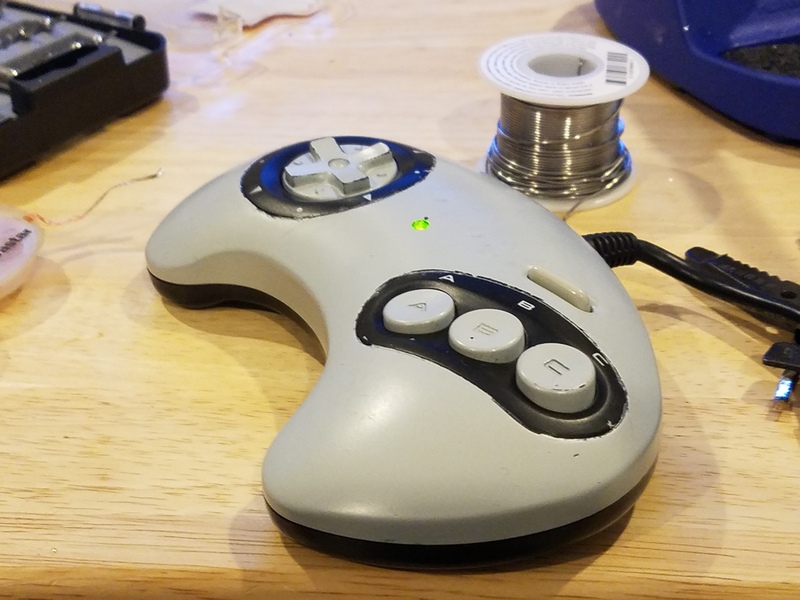 Through the use of the Saturn’s shoulder buttons, you can spin clockwise or counter clockwise while performing any of those three basic tasks. Surprisingly acrobatic for a man made of rectangles. That’s it, and that’s all – there’s nothing else to learn. Got a hankering to try for that front flip 1080° indy nosebone you saw on last nights’ X Games? 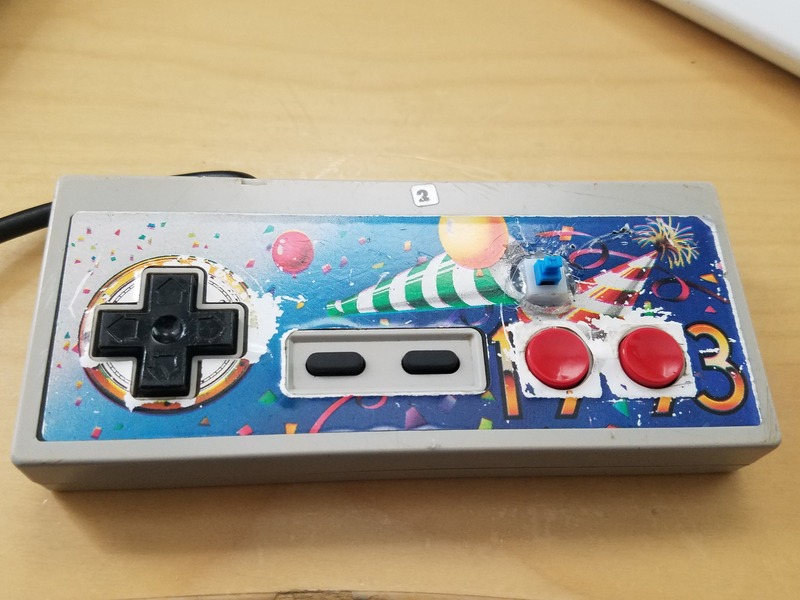 All you have to do is jump – if you get enough air, just lean on the shoulder button of your choosing, push ‘grab,’ and throw in a press of the ‘flip’ button when you’re good and ready. You’re only limited by your imagination and the game’s very permissive laws of gravity. 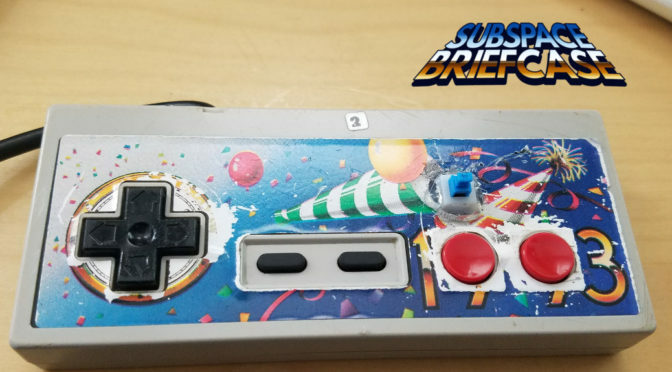 This may not seem particularly revolutionary, but compared to the controls employed by SSS’ closest contemporaries, which relied on much more complex button inputs, it’s remarkably simple and intuitive. Believe it or not, that sign says “Portland.” The dream of the ’90s is alive in Portland. Sometimes, I like to pretend that sweater-square-head girl is in a relationship with rectangle-face-goggle dude. It adds flavor to the game. 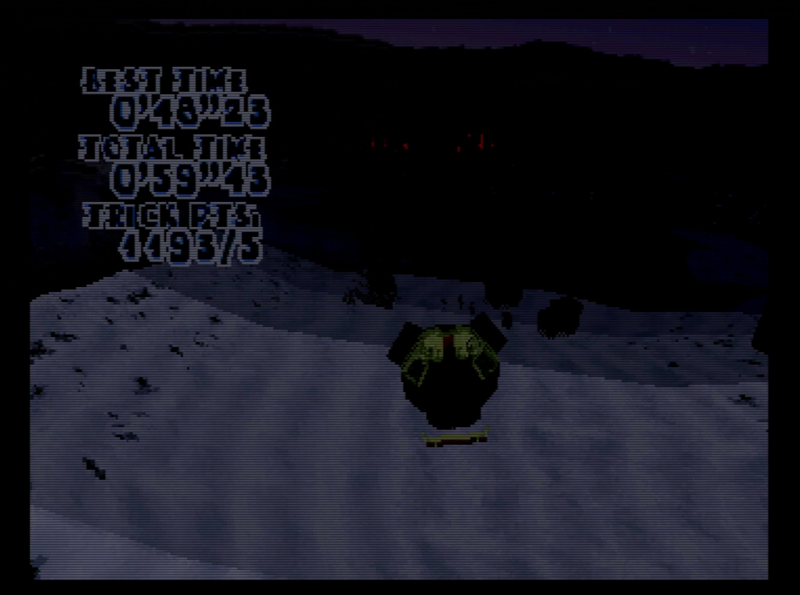 Additionally, to add an extra bit of visual flair, SSS makes use of the Saturn’s internal clock to simulate real world time zones. Playing SSS on the East Coast of the US at 8 PM? If you select the Japan course, you’ll be sliding down the slopes at 9 AM. For the most part, this is a fantastic feature, effectively giving you four different versions of each of SSS’ seven main courses. Hope you packed your thermal goggles. It’s so dark you can’t even read the text. 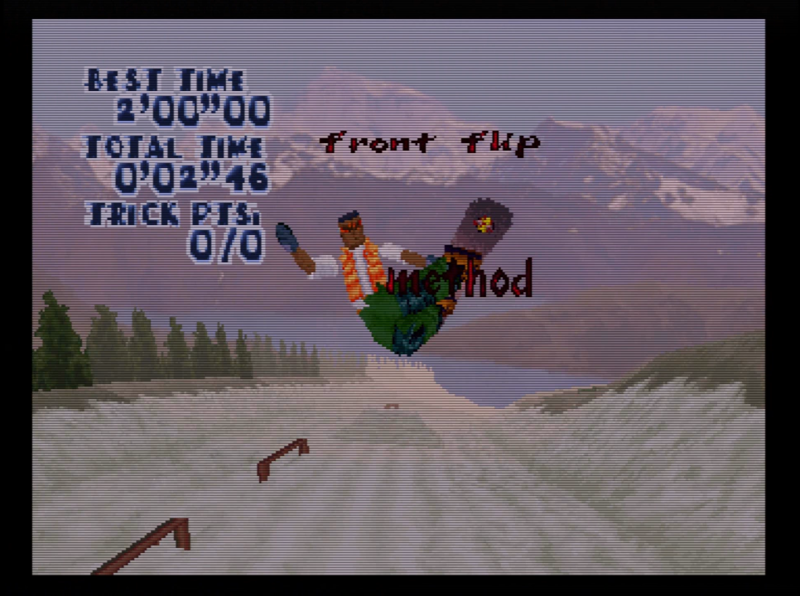 Unless you answered “a rocket buggy doing a back flip with a 720º twist,” you’re wrong. If you did answer “a rocket buggy doing a back flip with a 720º twist,” put down your Saturn controller and go apologize to your parents. 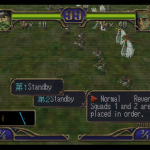 SSS’ time progression feature, while innovative and fun, renders roughly one third of the game’s courses unplayable at any given time. Fortunately, if you’ve got a burning desire to run any particular course, time progression can be disabled. The warm embrace of daylight is only a few button presses away. 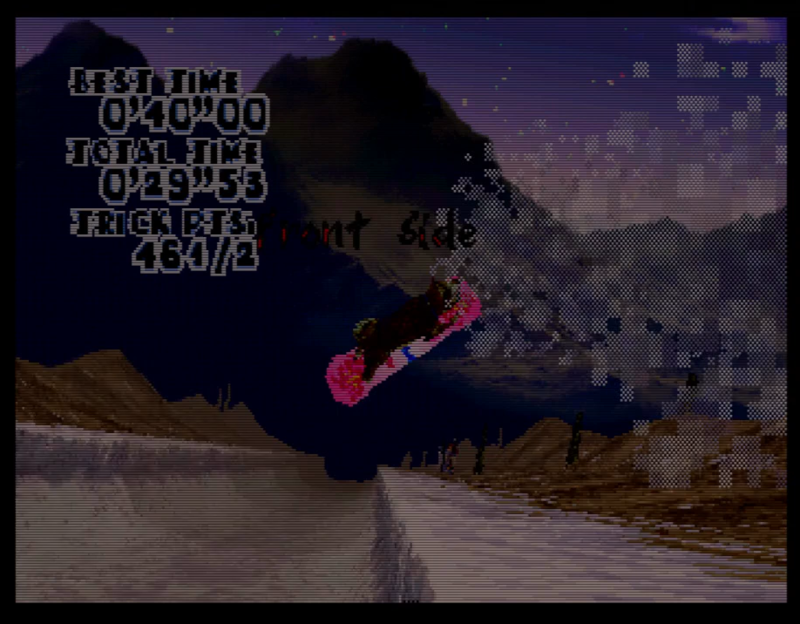 Trust me, it’s a dog on a snowboard. Why would I lie? … and an alien, an anime girl, a UFO, and all sorts of other crazy characters, some of which are remarkably full-featured. The developers really piled it on in terms of unlockable extras, including four bonus courses, some of which are set in space. If I wanted to avenge my brother, I would probably decided to entry the badminton game. Much less risk of injury. 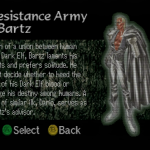 The music in SSS really is fantastic – but the only things you’ll ever remember about the soundtrack, no matter how hard you try, will be “Hold Me Close” and “Kiss.” I have friends who haven’t played this game in over a decade that still can’t forget these songs. To be honest, somewhere in the back of my mind, I think they’re why I come back to SSS every once in a while – and that kind of scares me. Given the circumstances, “Salvation” does not appear to be an appropriate name for this trick. SSS really doesn’t offer much in the way of “game modes” – you just pick a course and try to rack up the fastest time and largest score you can. Since all you’re really going for are skill and speed, SSS’ remarkably robust replay editing suite is a welcome inclusion. 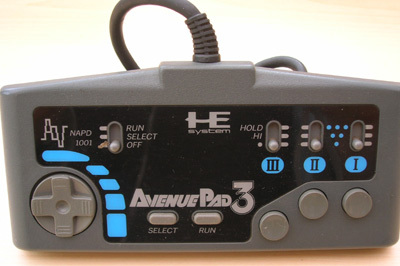 With the replay editor, you can save your best performances and play them back ad nauseum for any of your friends that happen to be stuck hanging out in your parents’ basement with you back in 1997. No, I never did that. Why do you ask? Despite its rough appearance, SSS shreds by on the strength of its gameplay alone. 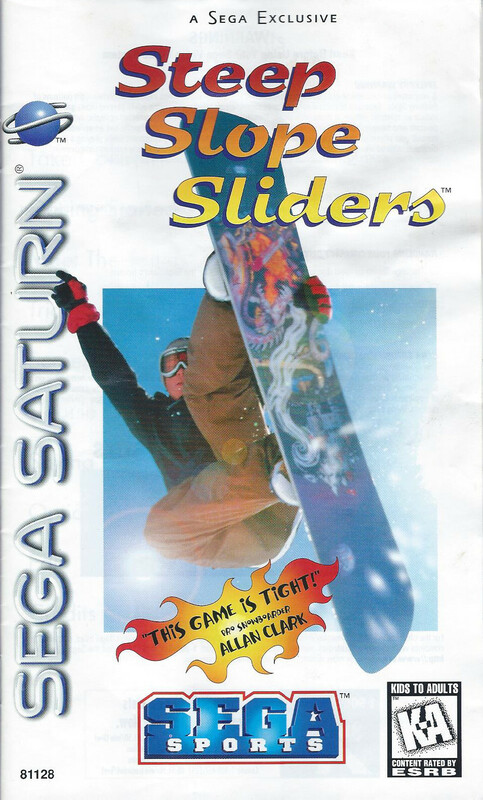 Throw in a host of extras, solid music, and a dash of that late ’90s Saturn innovation/weirdness, and you’ve got yourself the rare extreme sports game that stands the test of time. 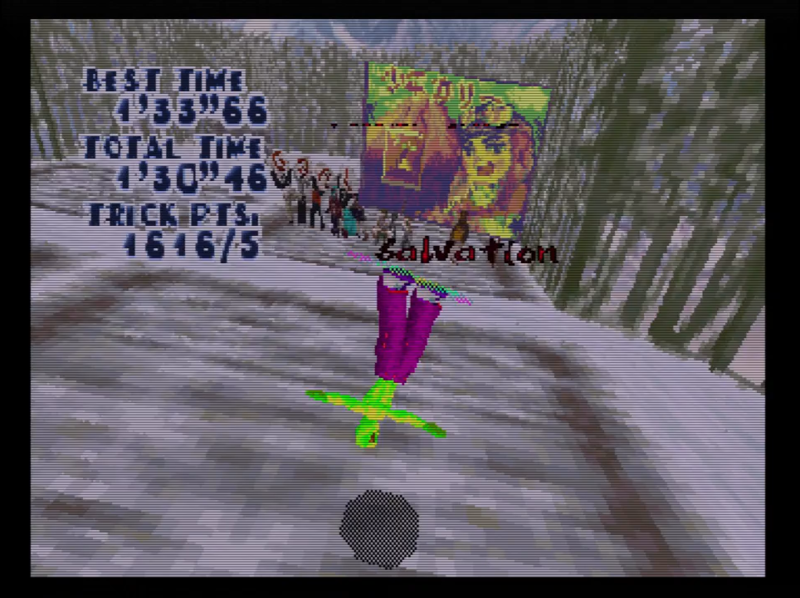 If you’ve got any fondness for the Saturn, or snowboarding games in general, Steep Slope Sliders is definitely worth your time. Trust me: it never gets old. If nothing else, I am confident that Steep Slope Sliders is far more enjoyable than Heavy Shreddin’. 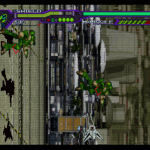 Played on original hardware, upscaled to 720p through a Micomsoft Framemeister. All footage and screens captured through an ElGato HD60. 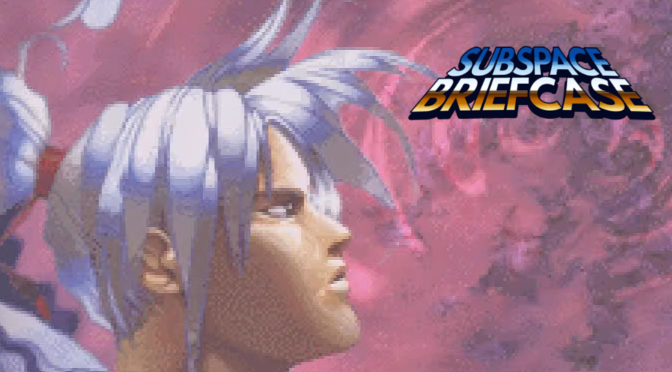 Note: The videos in this article contain spoilers for 30-year-old anime and 18-year-old space shooter. If that’s the type of thing your sensitive about, consider yourself warned. 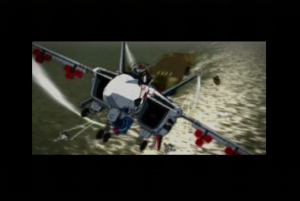 Macross: Do You Remember Love is one of the first animes I can recall watching. Released in 1984, Do You Remember Love (hereinafter, “DYRL“) is a cinematic adaptation of the popular Japanese television series, The Super Dimension Fortress Macross. 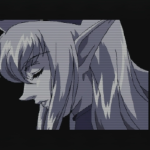 Despite its Japanese origins, it’s not uncommon for American children of the 80’s (such as myself) to have a tangential memories of the Macross franchise: the original television series was heavily adapted for US audiences in the form of the first 36 episodes of the popular cartoon, Robotech. 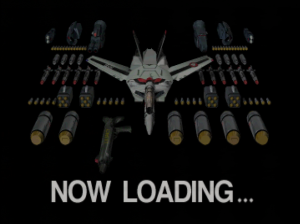 SOOOOO many missiles. 9-year-old Steve was in heaven. 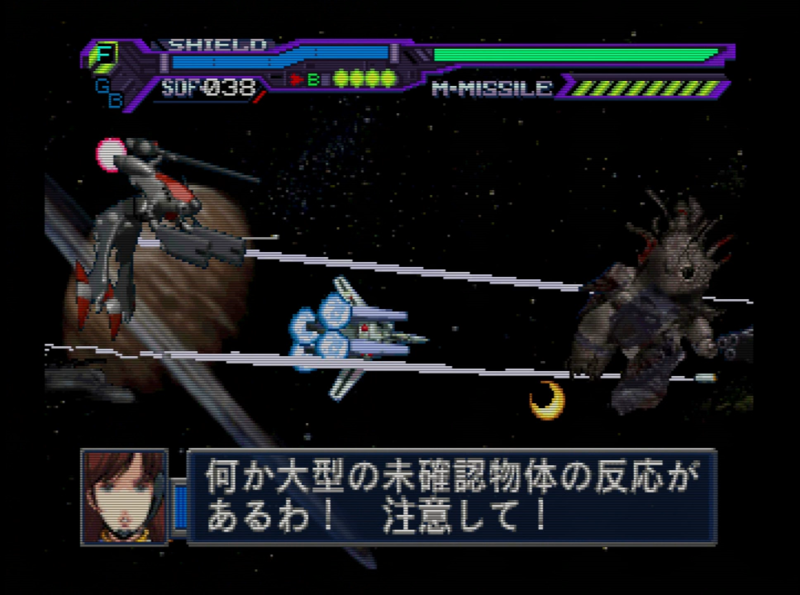 Giant transforming robots and missiles. This isn’t an anime website, though, so let’s get down to business. 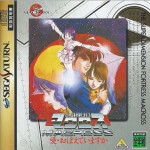 In 1997, to commemorate the 15th anniversary of the Macross franchise, Sega and Bandai teamed together to develop a space shooter based on DYRL, which is commonly referred to by English speakers as “Saturn Macross.” Containing over 30 minutes of footage from the film, licensed music, and additional dialogue recorded by the original cast, Saturn Macross is a fitting tribute to DYRL. And did they nail the missiles? 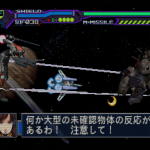 In Saturn Macross, the player takes control of the VF-1 Valkyrie unit of the film’s protagonist, Hikaru Ichijo. The VF-1 Valkyrie is more or less what we’d call a transformer: a jet fighter that can also morph into a battroid (giant robot) and a GERWALK (a sort of bipedal flying tank). 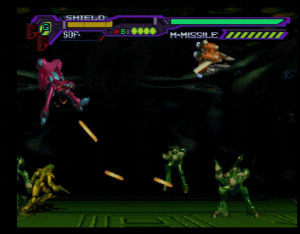 For much of the game, the player can freely switch between all three forms through the use of the Saturn’s trigger buttons, but the plot often mandates that your Valkyrie is restricted from doing so. 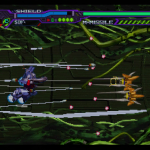 There are three main forms of attack in Saturn Macross: the Valkyrie’s gunpod (in practice, a standard “vulcan gun”), lock on missiles, and bombs. 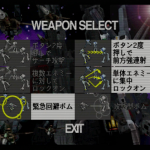 Each weapon has two forms – a weaker form with a larger area of effect, and a stronger form that targets a more concentrated space of screen real estate. Each form of the Valkyrie utilizes the gunpod differently, with the GERWALK and the battroid sacrificing the mobility of the fighter for the ability to aim your shots with greater precision. 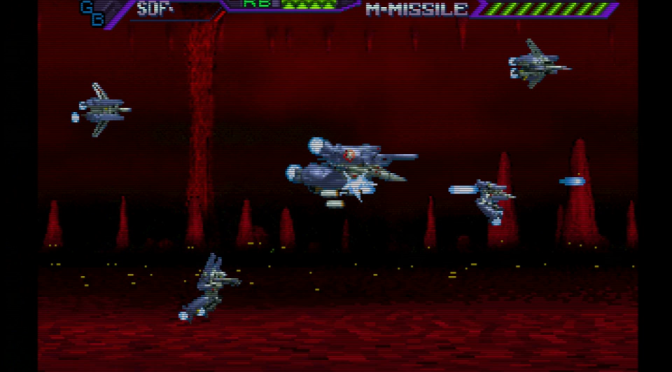 The action in Saturn Macross takes place across three planes, a foreground, middle ground, and background. 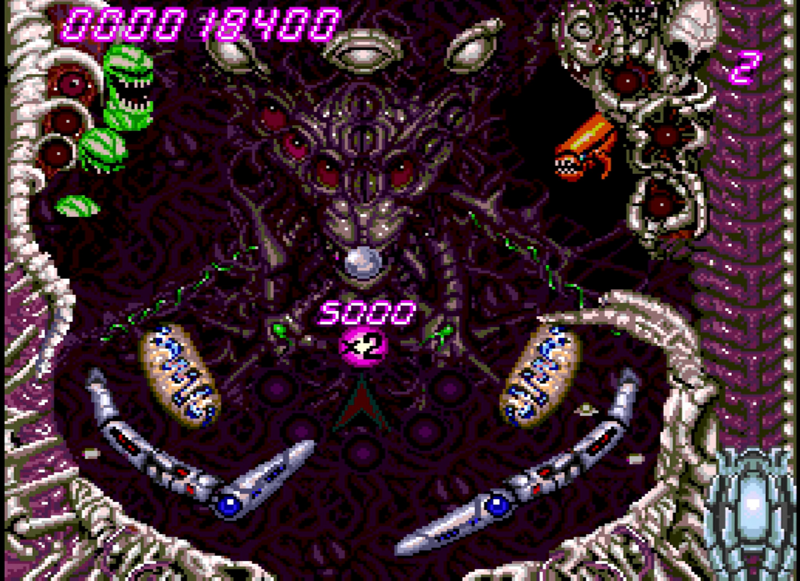 The player is restricted to the middle plane, but enemies can freely travel between all three. 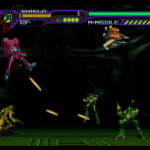 Only lock on missiles and one form of the gunpod can target enemies in the foreground and background, requiring you to utilize the full extent of your arsenal. 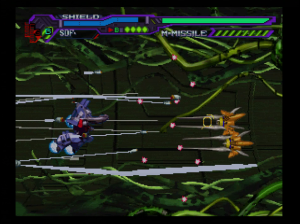 For the most part, this is a nice effect which makes excellent use of the Saturn’s 2D capabilities. At times, though, it is difficult to discern exactly which planes your enemies are on, resulting in more than a few bogies flying right by you or scoring the occasional cheap hit. 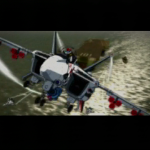 “Why would I care if an enemy flew right by me,” you ask? Because many of the game’s levels revolve around defending the Super Dimension Fortress Macross, the titular flagship of the series, which is constantly under assault. 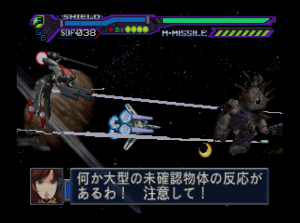 The SDF Macross has its own life bar, which slowly decreases each time you fail to shoot down one of your targets. This adds a nice bit of tension to the gameplay, and encourages you to perform to the peak of your ability. If you watch the video below, you’ll see this mechanic in action each time I fail to shoot down an enemy craft. 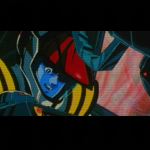 What Saturn Macross does best, though, is capture the spirit and feel of some of the more memorable moments of DYRL. 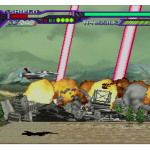 While it’s only a 2D shooter, Saturn Macross makes liberal use of voice acting and integrated clips from the film to give each level a unique feeling. 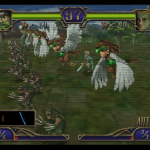 Nowhere is this more apparent than in the game’s last level, which beautifully recreates the climactic battle from DYRL as the movie’s theme plays in the background. 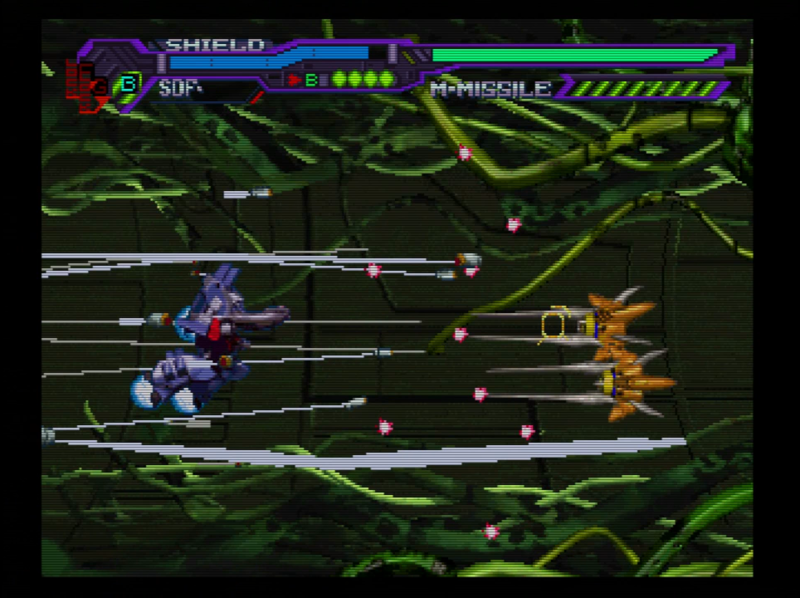 Saturn Macross is not without its faults, though. Often times, the sprites seem a little too large for the screen. There’s not a lot of room to maneuver your Valkyrie when things get hectic. 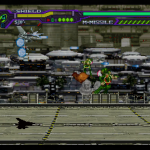 For that reason, I rarely found myself utilizing the battroid or GERWALK forms; it was always easier to play as the far more mobile fighter plane. 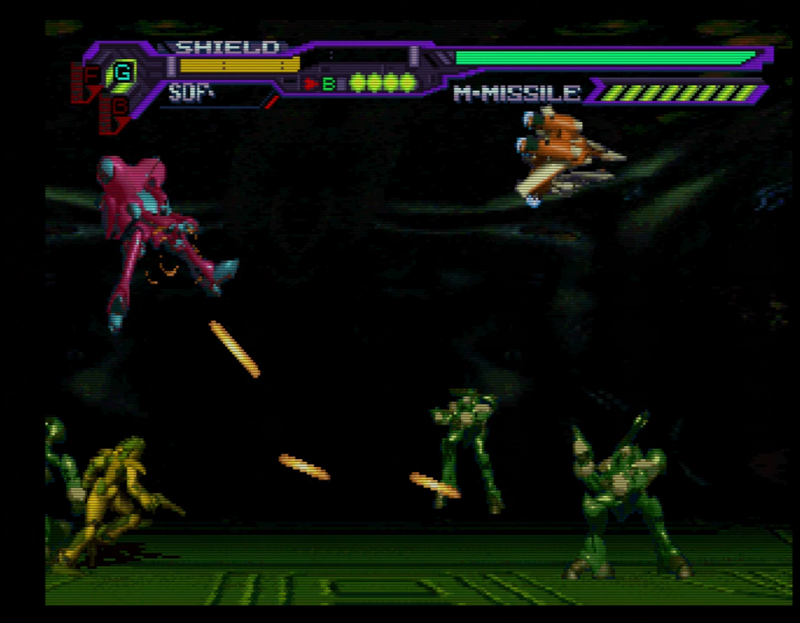 There are also control issues: the game requires the player to double tap buttons to activate certain attacks, which is a strange design choice, as the game leaves two buttons on the Saturn controller unused. 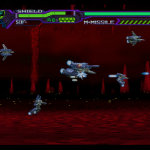 Additionally, the game also runs on the easy side, and anyone remotely skilled at space shooters should have no problem clearing it in under 5 hours. 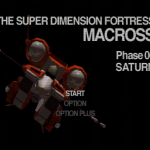 That being said, Saturn Macross is a highly enjoyable game that really captures the spirit and feeling of DYRL. I’ve replayed it three times, and I’ll probably have a few more go-rounds before I’m done with it. 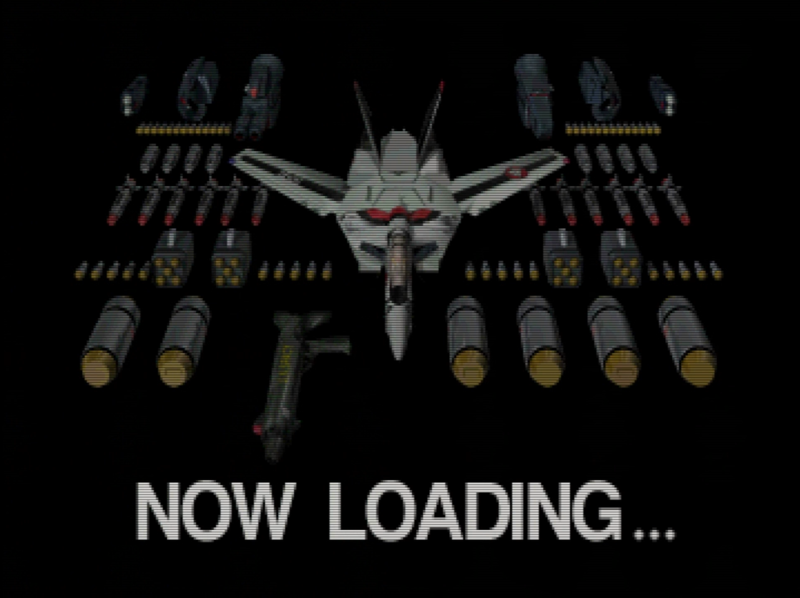 If you’re a fan of Macross, or shooters in general, it’s more than worth your time, if for no other reason than the missiles! 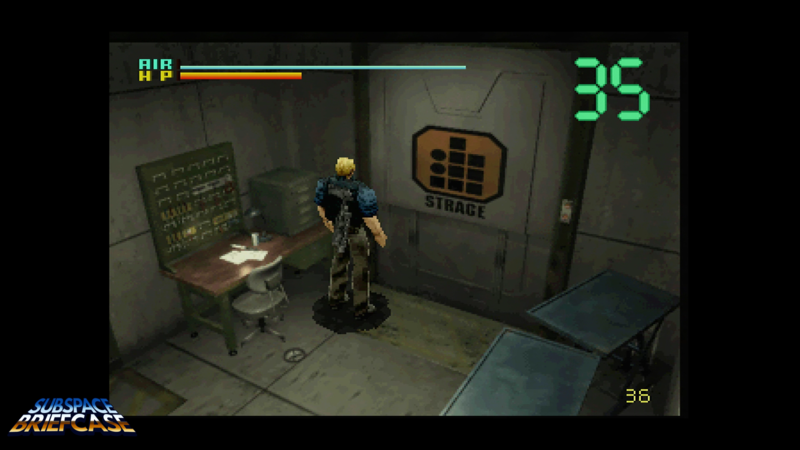 Despite this moniker, the game was also ported to the Playstation in 1999. 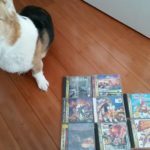 I have not played that version of the game – all opinions in this post are based solely on my experiences with the Saturn version. As 2014 draws to a close, I’d like to wish all of you the best in the coming year – time to let go of all of the past year’s bad juju and move on with our lives. In 2015, may your enemies know the depth of your mercy, and may your family and friends know the warmth of your love. SONIC BOOOOOOOM!